Kelsey is the newest member to the Kingfisher Realty team, starting her new journey here in September 2018. After living in Perth her whole life, Kelsey decided to pack up and make a life changing decision, which was to move to the Gold Coast. Kelsey resides in the heart of Burleigh Heads and is now starting to explore what this amazing suburb has to offer. Having worked in a fast paced Real Estate for the past 3 years in Perth, Kelsey’s experience has really helped the team at Kingfisher thrive. She brings a wealth of administrative experience, a positive attitude and an open mind. 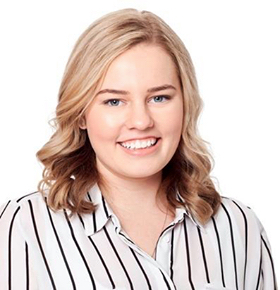 Kelsey enjoys spending weekends with family and friends, feasting at the amazing breakfast spots, beaches and the scenic drives through the Hinterland.